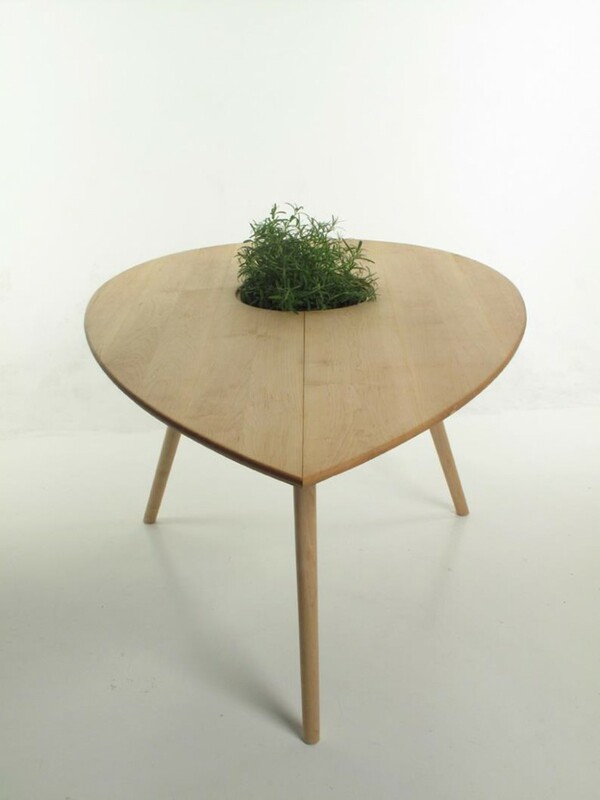 This table is a seed shaped plantable. 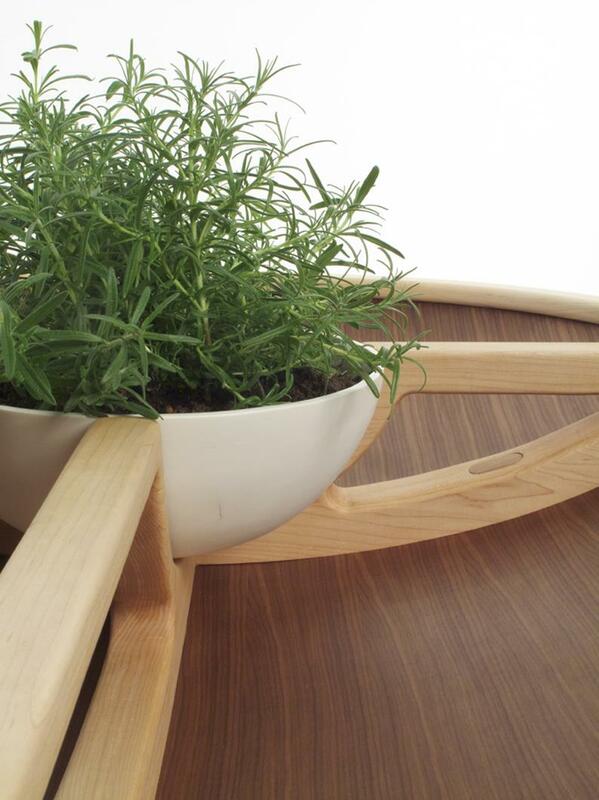 it is made in fine walnut veneer and solid maple wood, the bowl is handmade porcelain. 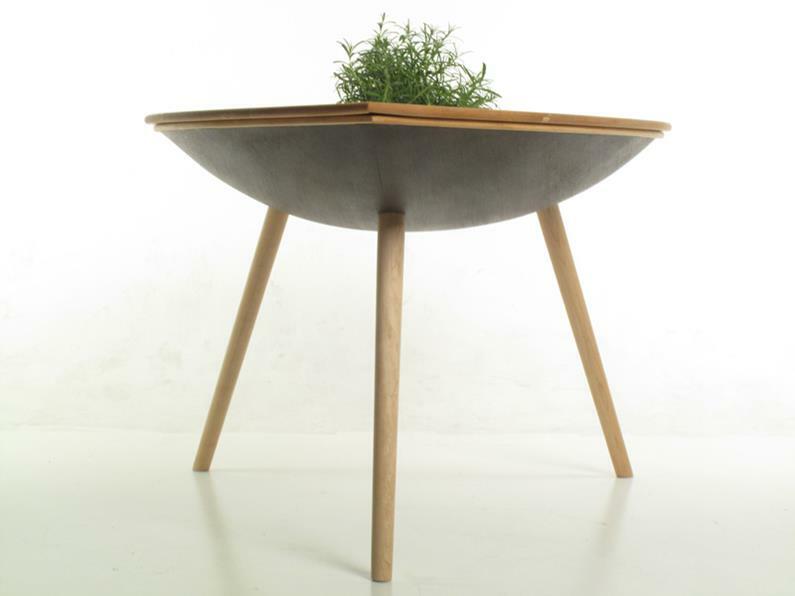 spire is designed for a seed center in bergen where you can learn about seeds, consume and swap seeds. 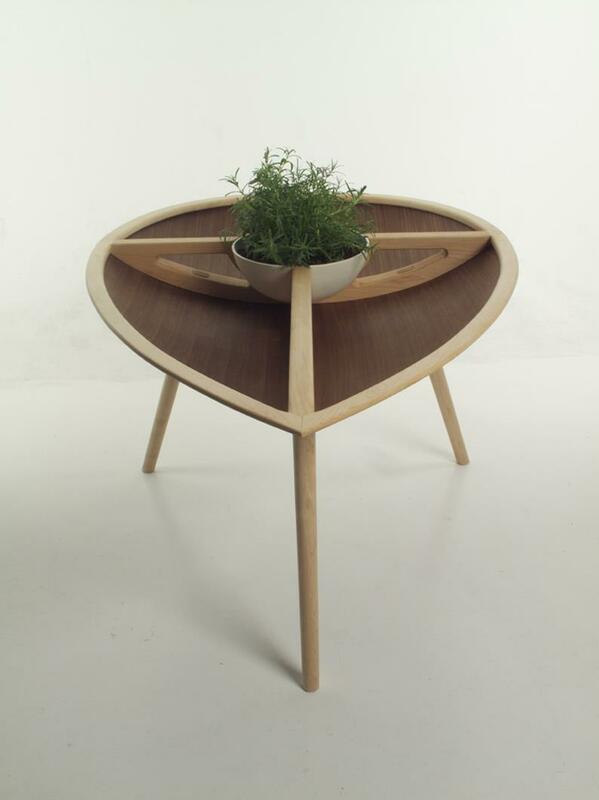 the bowl in the center is for growing herbs or storing fruit. 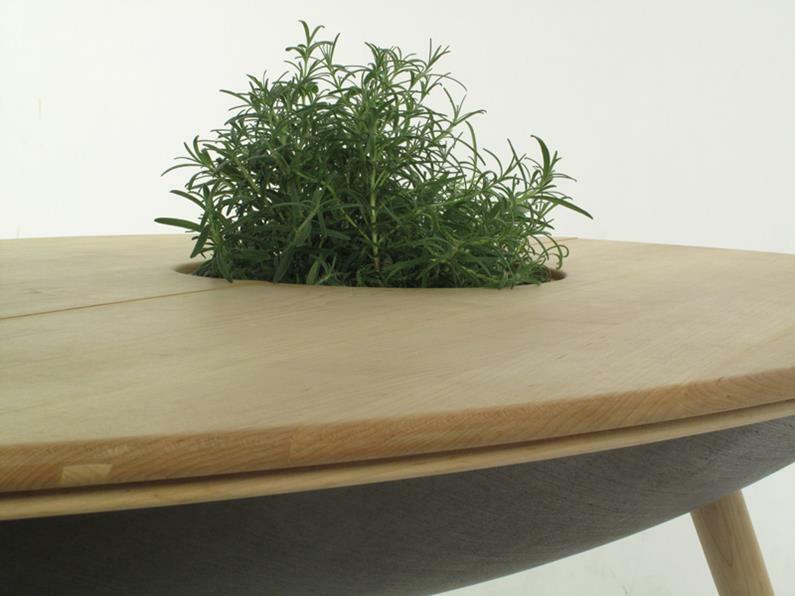 the butterfly table tops can be opened up and the space beneath can be used for storing table ware or small gardening tools for example. inspired by hundertwassers’ baummieter and goldsworthys seed sculptures i designed and build this metamorphosis of an avocado-sunflowerseed-walnutshell.